Many construction projects require the use of large vehicles to transport workers and heavy materials from place to place. Unfortunately, the very same benefits of work trucks and heavy construction equipment also makes them dangerous causes of construction site accidents in Georgia. If you or a loved one has sustained serious injuries caused by a work truck car accident in Atlanta, Marietta, or elsewhere in Georgia, contact our construction site accident attorneys at Rechtman & Spevak today. Our law firm is located in Atlanta, and our lawyers have years of experience helping victims of work truck car accidents in Georgia pursue the financial compensation they deserve for their injuries, medical bills, lost wages, and other damages related to their work truck accident injuries. In some car accidents involving a construction work truck in Georgia, the construction company bears some or all responsibility for the car accident and the consequences of the accident. 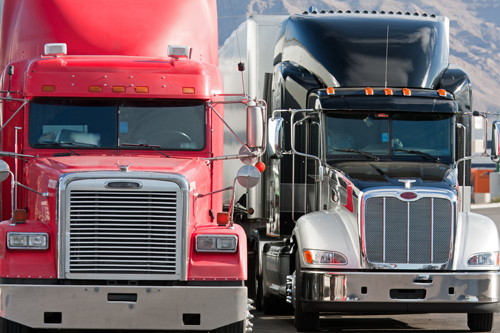 The company that owns the truck, the company that owns the trailer, and/or the company that loaded the truck or trailer may be held liable if their negligence contributed in some way to the work truck accident. Georgia workers’ compensation laws were established to protect the rights of workers injured in on-the-job accidents and their families, providing critical medical, disability and death benefits for workplace injuries and fatalities. In most cases, GA workers’ compensation laws prohibit workers from suing their employer for a workplace injury. In some instances of construction site accidents in Georgia however, injured workers may be entitled to additional compensation by filing a third-party liability lawsuit against the at-fault party, if their injuries were caused by a third party not employed by their employer. A construction site accident can have life-altering consequences for a worker in Georgia and his family. With the help of a knowledgeable workers’ compensation attorney, injured workers in Atlanta, Marietta, and elsewhere in Georgia can pursue financial compensation for their workplace injuries by filing a workers’ compensation claim with their employer’s insurance carrier. Unfortunately, workers’ compensation benefits may not be enough for workers whose long-term disabilities prevent them from returning to work and earning an income. If you have suffered injuries caused by a work truck car accident in Georgia, or if you lost a loved one in such an accident, contact our experienced construction site accident lawyers at Rechtman & Spevak today. With the help of our skilled lawyers, injured workers can protect their legal rights and seek fair and timely reimbursement for their injuries.